The International Bullying Prevention Association provides resources, training, and information regarding the prevention of bullying, pulling from the latest in scientific research. Periodically, they host webinars that are geared towards parents and educators, for free! You can register to participate when it is happening live or, if you are a member (which costs $25 at the time of this post), you check out their webinar archives at your leisure. Additionally, they host an annual conference to discuss the latest research and programs that are being used successfully. The Gender and Sexuality Development Clinic, (GSD Clinic) offers psychosocial and medical support for gender variant, gender expansive and transgender children and youth up to age 21 and their families. Their multidisciplinary team, led by Nadia L. Dowshen, MD, and Linda Hawkins, PhD, MSEd, LPC, includes specialists in gender identity development from Social Work and Family Services, Adolescent Medicine, Endocrinology, and Behavioral Health. They work with families to best meet the needs of the child or youth who is transgender, gender-variant or gender-nonconforming. They also provide consultation and training for providers and organizations interested in learning how to better serve the needs of gender-variant youth. 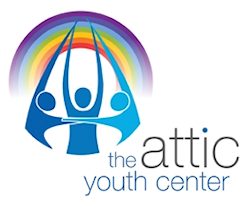 Don’t be fooled by it’s title, the Attic Youth Center, offers so much more than just a place for LGBTQIA+ youth to hang out. I even love the backstory of this place. It was originally started as an eight-week program, by two graduate students back in 1993. Hosted in the attic of a building, the kids wouldn’t let it end. Since that time, it has grown to being a significant resource for area youth. I think what I love about it the most is that the heart of this organization is to help kids to grow as citizens who are engaged in the world around them and have a voice. So, not only are there support groups, counseling, case management, healthy choices education, and life skills opportunities, the kids work on community projects together with opportunities for leadership roles. 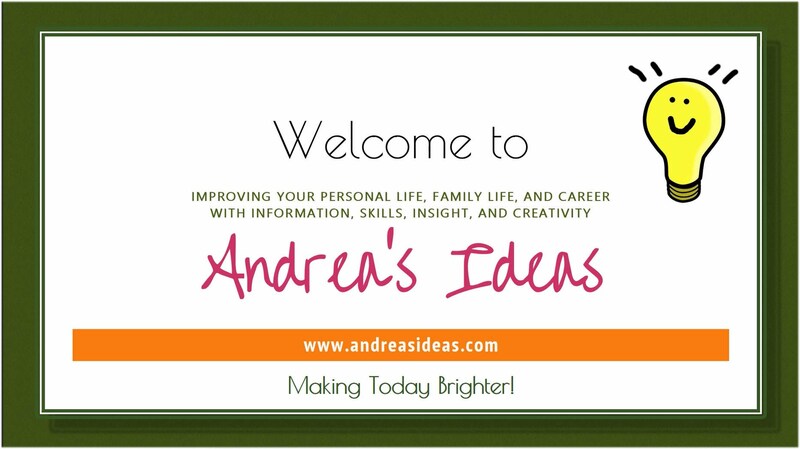 Plus, the website has inspirational stories and lists of resources. And, as if that’s not enough, the Bryson Institute offers various trainings regarding current “best practices” for working with LGBTQIA+ youth. You can contact them, explain the intended audience and needs, and they can customize a training for your organization. Clearly, this organization is worth checking out! 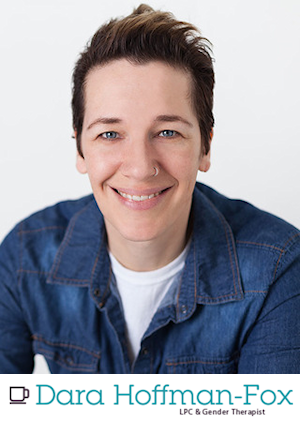 Dara Hoffman-Fox, LPC is a therapist that specializes in transgender issues. Tons of quality information here. Plus, Dara a series of videos where they speak to the viewer who is trans, agender, nonbinary or questioning their gender identity, and provides some guidance as to how to think through the things you may be feeling/experiencing. They also have an e-newsletter that you can sign up for. One specific resource that I came across on their site is their “My Coming Out Master Plan” with accompanying YouTube video. It’s a worksheet that helps you to think through and plan for how you would like to come out to family and friends. A version of that and many more resources like it are in Dara’s book, “You and Your Gender Identity: A Guide to Discovery.” I highly recommend that you pick-up a copy. Gender Sexuality Alliance (GSA) clubs, are typically found in high schools and colleges. The GSA Network supports Gender & Sexuality Alliance (GSA) clubs for students in high school and college settings. These clubs are incredibly important because I have found that they are often the first safe place in a teen’s life where they can let down their guard, express their true-selves and feel real-life support that they haven’t found in other parts of their young lives. If there isn’t a GSA club available in your (or your child’s) school, and you would like to start one, they can help you do this. They also provide ongoing resources to help run a successful, healthy, supportive club. The Mazzoni Center’s mission is to provide quality, comprehensive health and wellness services in an LGBT-focused environment, while preserving the dignity and improving the quality of life of the individuals they serve. Their offers a full array of primary health care services, mental and behavioral health services, and LGBT legal services, as well as HIV and STD testing, food bank and housing subsidies for families and individuals affected by HIV, support groups, outreach and education programs. They also have specialist in transgender issues. A prominent feature of the Mazzoni Center is the fact that they host the annual Philly TransWellness Conference. There is a professional training track (different ones for people in the counseling, medical, and legal professions) that involves paying a reasonable fee. However, the bulk of the conference is aimed at directly meeting the needs of people within the trans community…and it’s FREE! Hosted at the Philadelphia Convention Center, the conference is massive and the number of attendees continues to grow every year. The website boasts that they are, “The Largest Free Trans-Specific Conference in the World,” and I believe it. While there are cicgendered attendees (people who don’t identify as trans), we are certainly in the minority and it’s really thrilling. (OK, at first it’s intimidating, for fear of accidentally offending someone, and then thrilling!) To borrow from Harry Potter, a cisgendered person at the conference might initially feel like a muggle would at Hogwarts, which hopefully means that a trans person feels like a wizard who fits right in. The bathrooms are labeled as being open to any gender identity and everyone walks around with name tags that includes the pronouns that they prefer people use for them. If you can…go, even if you are neither trans or a professional…and just want to learn more. The Main Line Youth Alliance is a teen/young adult (ages 14-22) drop in center in on Friday nights Wayne, PA. They have a guest speaker and then hang out time. MYA provides a safe and healthy environment for their LGBTQIA+ youth. Meetings are virtually every Friday evening from 7-9:30 pm. There is no charge for admission and like any group, where teens gather, snacks are served! From time to time, they welcome parents to join in for an activity of fundraising or discussions. I have an ever-growing playlist on my YouTube Chanel (well, really many, many ever-growing playlists) of videos mostly by people who are trans. It has basic information (like the role of pronouns in being respectful of people’s gender identity) and relatable stories (like a son interviewing his mom about what it’s like for her to have a trans son). Generally speaking, videos can go a long way in helping to see the humanity in other people and understand in a more intimate way the challenges and victories that people can face. This playlist is no exception. 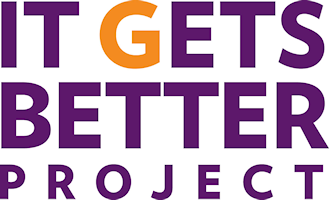 I first became aware of the It Gets Better movement from a viral video back in October 2010. Joel Burns, an elected official, made a speech at a Fort Worth, TX city council meeting. He had been deeply troubled by several gay teens committing suicide and had a personal message he felt compelled to share with other teens that might be experiencing the same emotional pain. You can check out this powerful speech on YouTube. I honestly don’t know if he has any connection to the formal It Gets Better organization but, according to their website, they started up the month before Joel’s speech. Since that time, they have produced and collected many inspirational videos, from famous people and regular people, about why, even when things seem so hard as an LGBTQ youth, you need to hold on because when you grow up and are an adult, you can chart your own course, find a community that supports you for you, and feel like life is worth living.